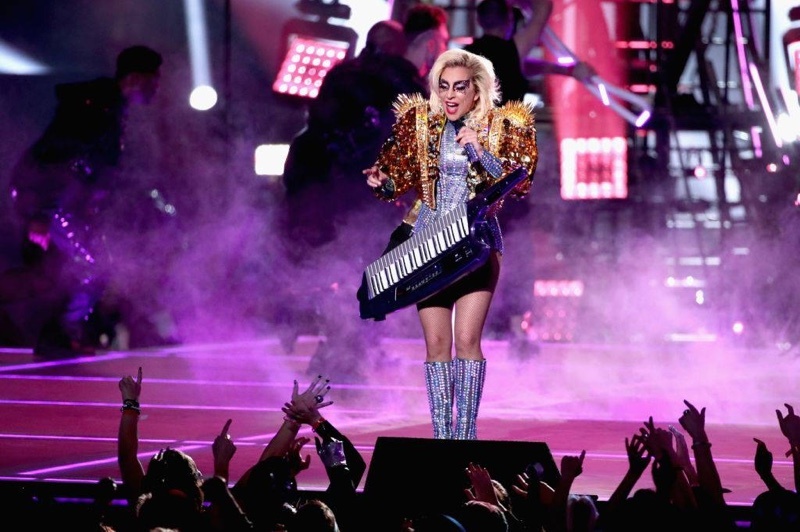 Lady Gaga put on a spectacular and jaw-dropping half time performance at the 2017 Super Bowl, and impressed in a series of Atelier Versace outfits. The songstress wore some outfits that were as bold and vivacious as her personality, and included a crystal embellished bodysuit in which she flew down on the stage. The crystal embellished bodysuit featured structured padded shoulders, and was paired with fishnet tights, matching heeled boots and a vixen red pout. As Gaga crooned 'Born This Way' and 'Bad Romance' amongst her other hit singles, her performances saw her change into more Atelier Versace outfits. The 30 year old then slipped into a cropped gold jacket with Swarovski crystals and edgy spikes, and rocked a dramatic eye makeup too. Her final outfit of the night seemed to be football inspired, and showed off skin as it included a cropped top mimicking football pads paired with embroidered hot pants. Gaga also posed with Atelier Versace Creative Head Donatella Versace before the performance, and was highly applauded for putting on one of the best Super Bowl half time performances ever. In 2012, Simpsons correctly predicted that Lady Gaga would perform at the Super Bowl Half Time, and would also fly down the stage for her entrance.